Both the No. 18 Joe Gibbs Racing Toyota, driven by Christopher Bell, and the No. 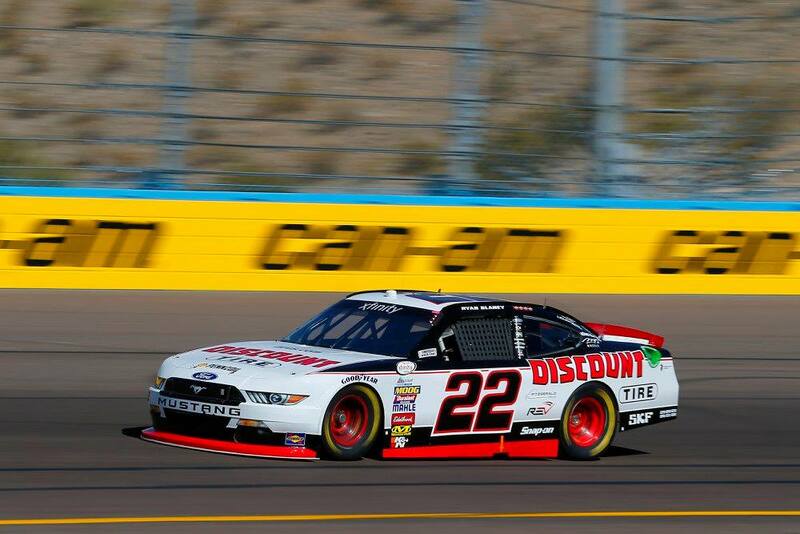 22 Team Penske Ford, piloted by Ryan Blaney, were cited for safety violations for lug nuts not properly installed. Each crew chief — Eric Phillips (No. 18) and Greg Erwin (No. 22) — was fined $5,000. Blaney finished second to William Byron at Phoenix, while Bell came in fourth place. The XFINITY Series returns to action this weekend with Saturday’s Championship 4 finale, the Ford EcoBoost 300, at Homestead-Miami Speedway (3:30 p.m. ET, NBCSN, MRN, SiriusXM NASCAR Radio). No penalties have yet to be reported on the MENCS side of the garage.